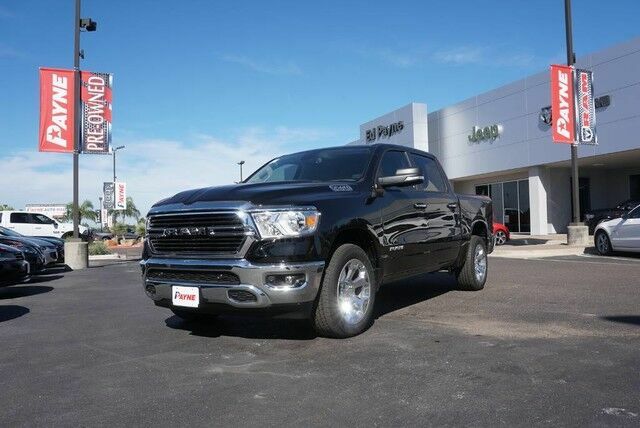 This outstanding example of a 2019 Ram 1500 Big Horn/Lone Star is offered by Ed Payne Motors. Beautiful color combination with Diamond Black Crystal Pearlcoat exterior over Diesel Gray/Black interior making this the one to own! The 2019 Ram exterior is finished in a breathtaking Diamond Black Crystal Pearlcoat, while being complemented by such a gorgeous Diesel Gray/Black interior. This color combination is stunning and absolutely beautiful! There is no reason why you shouldn't buy this Ram 1500 Big Horn/Lone Star. It is incomparable for the price and quality.